Technoglobe is a leading institute for Android Training in Jaipur offers Android courses to make mobile applications more easy and reliable. User friendly web applications make users do their work in easy and clear way to complete their requirements. Android Course in Jaipur helps to increase We provide Android training in Jaipur with practical learning sessions, so that each concept can be explained to develop good apps. Working on live projects provides opportunities to make you more experienced under working conditions and real life clients’ requirements. 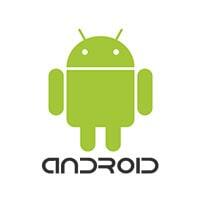 Enroll soon for Android Training in Jaipur. you have come to right place, for Android Training in Jaipur. Technoglobe is a android institute in Jaipur, Which provides Live Projects in Android App Development Training, We have five branches in Jaipur Location- Gopalpura, Ambabari, Malviya Nagar, Raja Park, Pratap Nagar. After completing Android course in Jaipur we are also provide PD section for increasing your personality. Technoglobe is best institute for android course in Jaipur is just a perfect platform to launch you in the market with industry oriented Android Development Training program. Android Training in Jaipur will help you to find good job or create chance for your promotion. We have plenty of experienced professional instructors for android course in Jaipur who will teach you at best level with live project that will help you to implement new stuffs. We designed this Android course in Jaipuraccording to current demand of software industry. Technoglobe, 17 years old IT Training company provides high-quality android course in Jaipur to students as well as working professionals to enhance their technical skills in Android. Candidates are provided in depth theoretical & practical knowledge in Android course in Jaipur along with working on Major Project in Android Technology. Android is a mobile operating system developed by Google, based on the Linux kernel and designed primarily for touchscreen mobile devices. Android delivers a complete set of software for mobile devices: an operating system, middleware and key mobile applications. Step to create new project?